Qualified in Advanced Digital Marketing and Advanced Social Media Marketing, I am an enthusiastic digital marketer. Providing: digital marketing services, social media marketing services and online reputation management (ORM) services. Using social media to promote a business, engage with customers and grow a brand, is becoming more popular. Moreover, it is an excellent way to interact with your customers, learn what they want and raise awareness of your brand. Protecting the online reputation of your business is very important. It only takes one bad blog to seriously impact on your business. So you need to be aware of what people are saying about you and where. 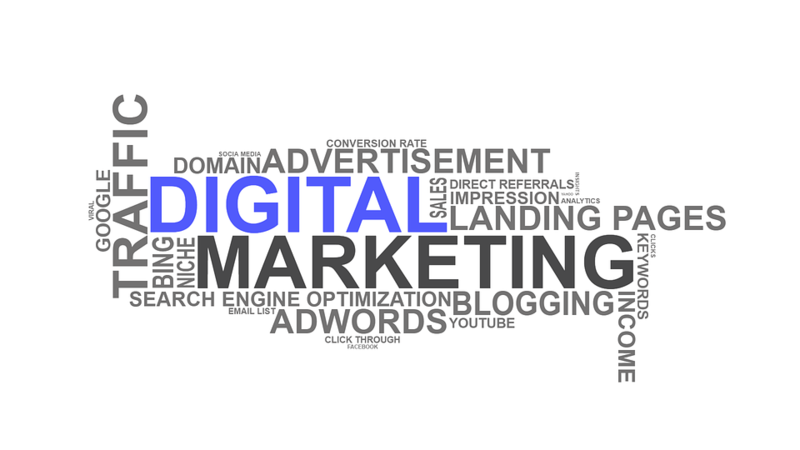 For Digital Marketing Charges, click here. In the modern world we live in, everything is done digitally. Traditional marketing is not as successful in this digital era, it is easily ignored and doesn’t generate enough leads. Whereas, in this technology-driven world, digital marketing is much more successful. The main benefit of marketing digitally is the ability to reach your targeted audience, cost-effectively and in a way that is measurable. Cost-effective. Digital marketing isn’t cheap, but it can be more cost-effective than traditional marketing. It is, however, time consuming and easy to get wrong, which is why most people a professional. Reach a global audience. You can reach a global audience and targeted demographic, expanding your audience and customers. Analytics. With lots of analytics tools that can show you how effective (or ineffective) your marketing campaign is. You can see patterns, what has been successful (or unsuccessful) and adapt your marketing strategy. Brand awareness. Being active in social media you are heightening your brand awareness, making it known to more people. Over time, this builds brand confidence and customer loyalty. Understanding your audience. By interacting with your users you get to understand them more. You can find out what your customers want, what problems they face and how you can help. Better conversion rates. Which means more website visitors becoming (or converting into) customer. By making the action you want the customer to take (such as buying something) seamless and quick. These are just some of the advantages you will benefit from, if you digitalise your marketing strategy with a professional digital marketer. If you would like to read more about the importance of digital marketing, social media marketing and online reputation management, see this interesting article from CareerAddict.com. As I have mentioned, having a strong digital marketing strategy in place is incredibly important to the success of your campaign. If you employ a professional digital marketer, they will most likely help you to create your marketing strategy and implement it. But if you don’t have the budget for a digital marketer, you may have to develop this strategy yourself. What a Digital Marketing Strategy is. In simple terms, it is a plan of action (usually a number of actions), aimed to help your business achieve it’s goals. These goals will obviously vary from company to company, which is why every business needs a personalised digital marketing strategy. Considering the strategy as a series of actions, each of these actions becomes a separate digital marketing campaign, so while you may have one strategy, you can have unlimited campaigns. To create a strategy you need to do some research first. You need to understand your buyer personas, for example, their age, location, hobbies, etc. Furthermore, you’ll also need to identify the goals of your digital marketing strategy. Next you will have to audit and evaluate your current digital marketing and any media you intend to use. Moreover, you also need to select a time-frame, for example 12 months, for the strategy. If you are considering formulating your own strategy, this article from hubspot.com is incredibly helpful. You might be wondering if you need a digital marketer and a digital marketing strategy. Especially if you already have traditional marketing strategy in place and only have the budget for one or the other. Unfortunately, you do, even if you have other forms of marketing. This is because digital marketing is very different to other forms of marketing. Traditional marketing usually includes handing out flyers, running adverts on the radio or billboards, for example and targeting a very specific number of households. Whereas digital marketing is the process of advertising a business online, through things like social media channels. The disadvantages of traditional marketing include little to no interaction with customers. As well as high costs associated to advertising, flyers etc. In addition to an inability to measure the results from traditional marketing. Digital Marketing, on the other hand, offers an abundance of benefits, as you will have seen above. This doesn’t mean, however, that you should ignore traditional marketing altogether, in fact, if you have the budget a multi-channel approach is often the best way to go. Learn more about me and how I can help, read the benefits to employing Lisa Thomas Writing Services, in addition, why not read my exceptional client feedback. To discuss your needs with a qualified digital marketer, or for more information on the services I provide, please contact me. I aim to respond to all emails within 24 hours.